Achieving the ultimate in green building badges — the LEED platinum certification — is pretty rare, and it is particularly unusual for data centers. But on Thursday, GE (s GE) showed off its new LEED platinum-certified data center in Louisville, Ky., and the facility is 34 percent more energy efficient than a standard building. LEED Platinum is more a design certification than anything else, and GE retrofitted an existing building for the data center. Fifty percent of the construction materials for the facility come from local sources, and 30 percent of the construction materials are recycled materials. GE also recycled the majority of the waste from the process. GE used a lot of its own technology to achieve the LEED status, including its efficient eBoost backup power supply. In addition GE employed raised floors for more-efficient cooling. GE doesn’t mention the PUE (power efficiency metric) of the data center, which is the typical efficiency metric used by the data center industry, and instead focuses on the LEED aspect. But it will be good to know the PUE metric over time, as that will indicate how efficiently the facility is using electricity while it’s up and running (and throughout hot and cold months). 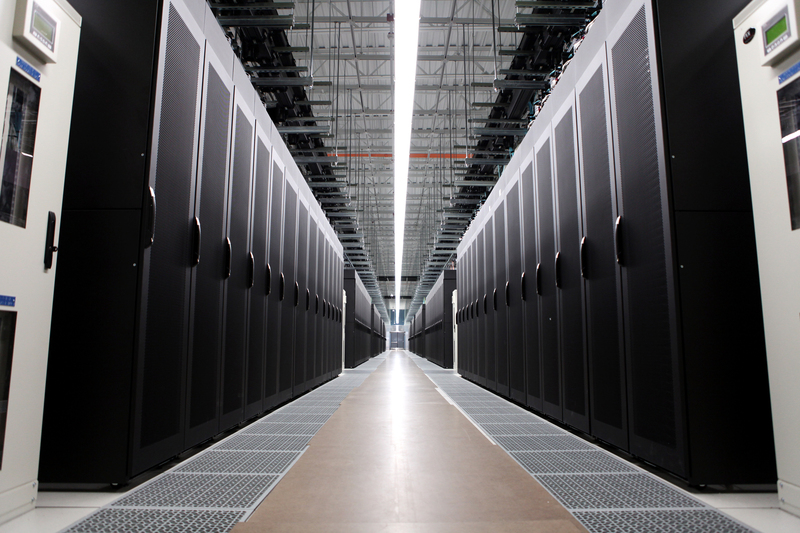 The world’s data centers consume a lot of electricity. In 2010 data centers consumed about 1.3 percent of all electricity use for the world and 2 percent of all electricity use for the U.S., according to the latest report from Jonathan Koomey.